We’ve got three new episodes to share with you for Lucasfilm’s animated series Star Wars: Galaxy of Adventures. I’ve really enjoyed watching these shorts and they have such a fun, cool and playful style. These new episodes feature classic scenes from the films involving Princess Leia, Luke Skywalker, Darth Vader, and Yoda fighting Count Dooku! You’ll find three new episodes of the series to enjoy below! Princess Leia proves, again and again, that she is perfectly capable of saving herself. 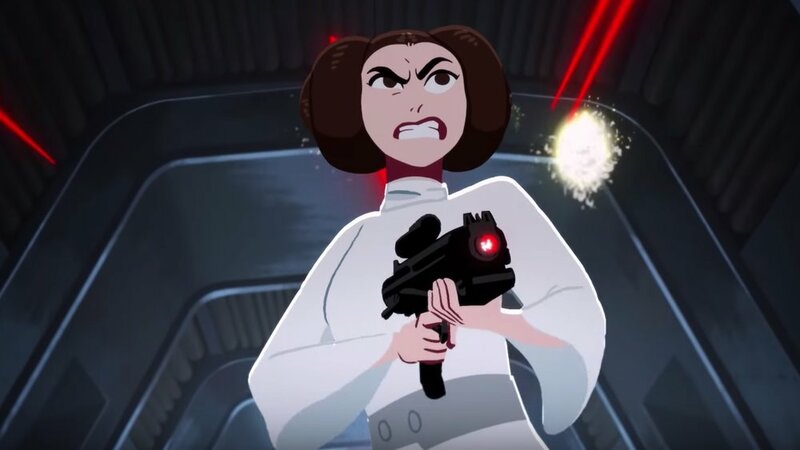 The First STAR WARS: GALAXY OF ADVENTURES Animated Shorts Have Been Released and They're Pretty Cool! New Episodes of STAR WARS: GALAXY OF ADVENTURES Include "Darth Vader - Path of the Dark Side"